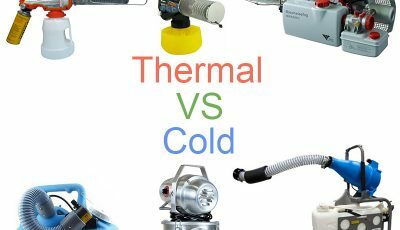 What a thermal fogger is? 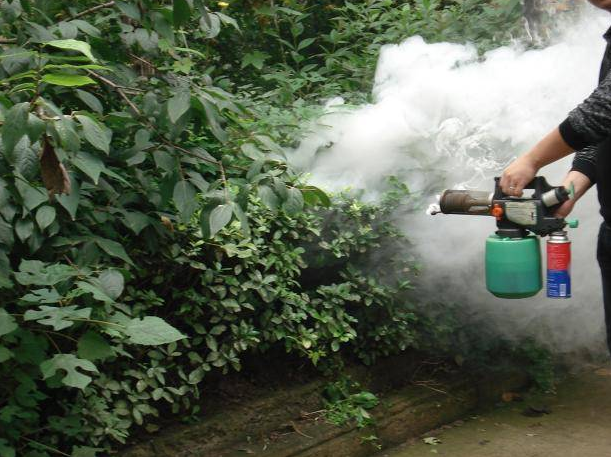 A thermal fogger is a device that is used to terminate a pest problem in an outdoor area. There are three types of thermal foggers – gas foggers, fuel foggers, electricity powered foggers. 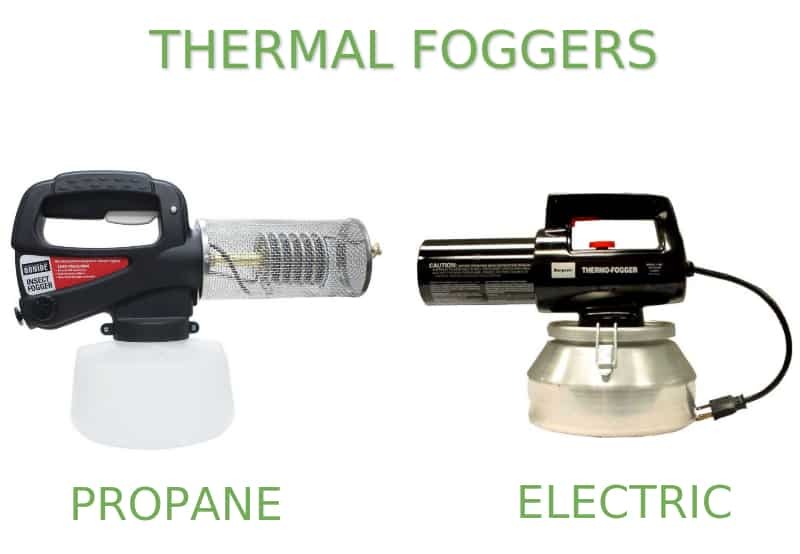 Both of these fogger types use heat to vaporize the fogging solution to create a dense cloud of fog that penetrates even hard to reach outdoor areas such as shrubbery, grass, tree tops and many other areas. Thermal foggers are often used for mosquito control. A thermal fogger, as the name suggests, uses thermal power in form of a heat to vaporize a fogging solution, in most cases insecticide, and sprays the solution trough the nozzle of the fogger in form of a mist or fog. The insecticide or other fogging liquid is filled into the container that for most foggers is located below the fogger, but on some products will be installed in the body of the fogger. On average a basic thermal fogger will have an approximately 40 oz (1.1 l) large solution storage tank. Inside the container goes a pump that is used to pump the fogging solution from the container trough the heat assembly located on the front of the fogger. The pumping is done by a person operating the fogger, when a fogging trigger is pressed. Fogging trigger for most thermal foggers is located under the handle of the tool. For thermal propane foggers on the back of the fogger there is a socket for a propane gas cylinder. For thermal electric foggers there is an electric cord that needs to be plugged into electricity. For thermal fuel foggers there is a large fuel tank on the side of the fogger. When the fogging solution gets pumped to the heat assembly it goes trough a coil that is heated to very high temperature and the insecticide vaporizes from a liquid state and is sprayed out trough the nozzle at the end of the fogger in a form of a thick fog. For electric fogger the heat assembly is heated with an electric energy and for gas fogger with a propane gas (for most gas foggers) or other type of gas from attachable gas cylinder. Thermal foggers can produce very tiny particles, as small as 0.5 – 5 microns. Such small particles will stay in the air for long period of time until they reside on the ground. Tiny particles also will be able to get into hard to reach places both indoors and outdoors. 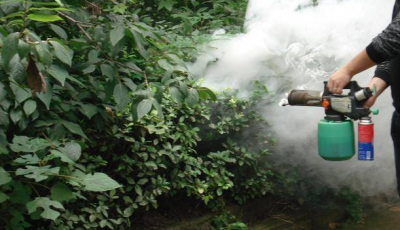 Thermal foggers used for mosquito controlling usually produce particles at approx. 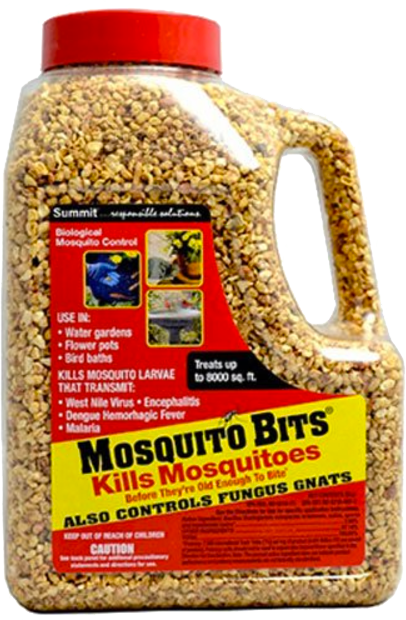 5-10 micron size, which are the most effective insecticide droplet size for mosquito termination. While most cold ULV foggers allow to adjust the particle size produced from as small as 5 microns up to 50 and more micron size by adjusting the air flow rate of the fogger, most thermal foggers will produce droplets in wide range of sizes and it is hard to adjust a thermal fogger to release droplets in a constant size. Thermal fogger is the preferred method for outdoor fogging and majority of thermal foggers are made for outdoor use only. Because thermal foggers work with high temperatures, they are not considered safe to use indoors, especially if there are flammable materials around the house. Also, if the heat assembly of the fogger has not reached a sufficient temperature before starting to fog, the insecticide can start to drip from the fogger, which will leave hard to clean stains on the ground, so it is not advisable to use it indoors. The fog produced by a thermal fogger is thick, in a white to gray color and is easily visible, so you can have a batter control over the areas you are fogging. With a cold fogger, the fog produced mostly is transparent and odorless, so it is harder to see which places the fog is reaching, especially when fogging an outdoor area in higher wind conditions. 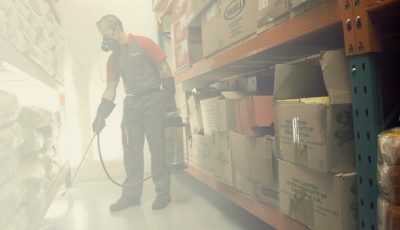 The price of a thermal fogger can start from 50 dollars for the most basic propane and electric foggers and can reach up to 1000 and more dollars for professional foggers that are quipped with powerful electric motors and large capacity tanks and are used in industrial areas as well as in many tropical countries to conquer and control a disease spreading mosquito problem. In comparison, the price of a cold fogger will start from 200 dollars and can also go over 1000 dollars for professional foggers used in larger indoor areas such as commercial buildings and warehouses. In addition, most propane foggers do not come with a propane cylinder and it has to be bought separately, however the price of these cylinders is about 10 dollars or even less. 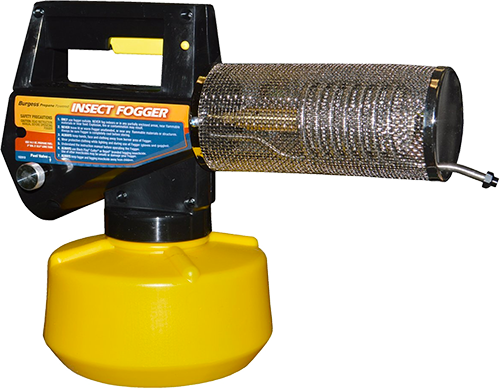 Thermal foggers can be used with different pesticides and insecticides based on the type of pest problem you need to solve.